A lot of the problems that could happen in your house can be fixed by a plumber, and not just the ones you would expect either. Plumbing professionals do not confine themselves to your water systems anymore – they can help you out with all kinds of things. Blocked drains can be caused by a number of different things, but in reality it’s almost always a build-up of either hair (in shower drains or bathroom sinks where people shave) or food scraps (in the kitchen sink). A lot of the time you can clear the blockage yourself, but if it is particularly bad you may need a professional. If the blockage is caused by tree roots then it will be a much bigger problem, as this will be in the drains that lead from your house as a whole to the sewer. You will definitely need help in this situation. A leaking pipe can be difficult to detect, and is even harder to repair. If the leak is minor you are unlikely to notice it until your drywall starts to show signs of water damage, while if it is bigger then you may experience minor flooding. You will need to call an emergency plumber as soon as you suspect that you have a pipe leaking, as they should be able to find it and fix it for you before major damage is done. If you wait to call them your walls or ceiling may get mouldy, and the leak may get bigger. Hot water problems are a huge annoyance, and can prevent you from being able to shower properly. There are two major sources of hot water drama: either you are using more than your heater has the capacity for, or your system is damaged. If you are using too much and can’t really cut down (for example if you have teenage children) then a new water heater can be installed for you. If your old system is damaged it will usually be repairable, but there is a chance that it may need to be replaced as well. Gas, at first glance, doesn’t seem to be something that you would need to call an emergency plumber for because it doesn’t have anything to do with water. However, it does use pipes that connect your home to the gas system of your city, so it makes sense that you need a plumbing professional to handle it. Gas connections need to be done properly, as if there is a problem it can be fatal. Your gas lines also need regular maintenance to ensure that everything is working properly and that there are no small leaks. Because of the consequences if there is a problem, it is vital to get someone with experience to handle all of your gas installation and maintenance. Roof leaks again seem like more of a problem for a handyman than a licensed plumbing professional, but they are most often caused by leaking pipes or misaligned (or blocked) gutters. If the gutter is simply blocked on the roof you should be able to clear it out yourself, but if the blockage is in the drain then you will need help. Misaligned gutters will also require help to fix them, and as discussed above leaking pipes will absolutely need professional attention – particularly if they are bad enough to cause a leak. 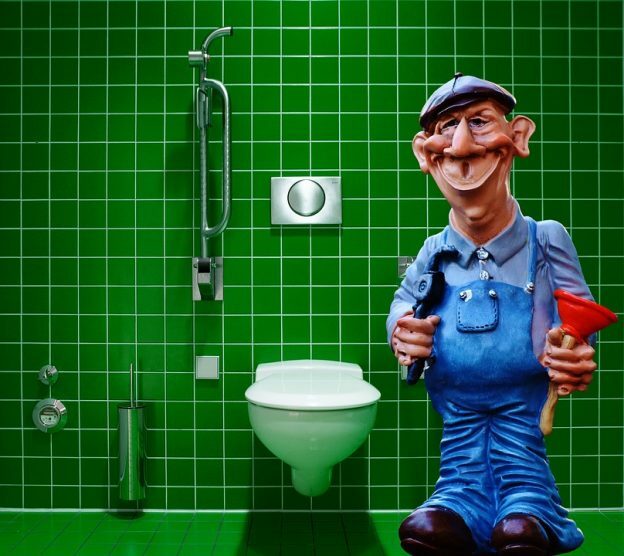 So, as you can see, an emergency plumber can help you with a huge range of household problems. Some of the issues discussed can be fixed yourself – particularly blocked drains and gutters – but most will require you to call a professional to help you out.